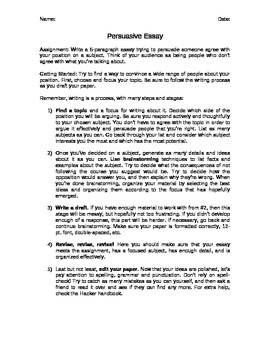 This assignment asks students to write a persuasive essay on a topic of their choosing. 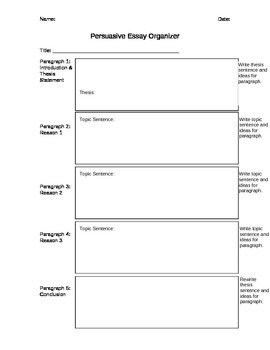 Includes a prewriting graphic organizer. Great for AIS.